Cary Moon, an urban planner and engineer best known for her activism against the Alaskan Way Viaduct replacement tunnel, will run for mayor of Seattle. 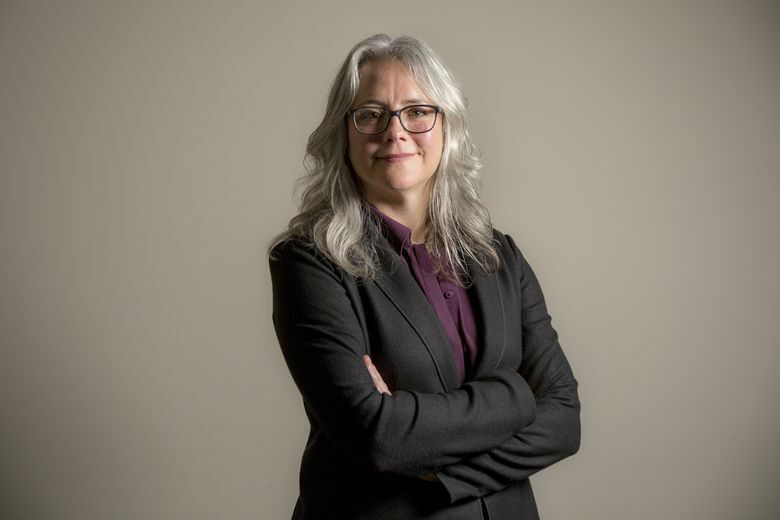 Cary Moon, an urban planner and engineer best known for her activism against the Alaskan Way Viaduct replacement tunnel, will run for mayor of Seattle this year. She’s the mystery candidate the consulting firm Moxie Media said was considering a bid earlier this month. That tease came shortly after child sexual-abuse allegations against Mayor Ed Murray shook up the political landscape. “We’ve been working with a viable, resourced potential challenger for a couple of months now,” Moxie Media partner Heather Weiner said at the time, causing tongues to wag in City Hall and beyond. Moon helped found the People’s Waterfront Coalition in 2004 to advocate for replacing the downtown-waterfront viaduct with housing, stores and parks rather than a surface highway or a tunnel. “I led the effort to say, ‘Wait a minute. That’s 22 acres of our most valuable land. Why are we letting (the state transportation department) tell us what to do with it? We need to reclaim that land for the city and build civic space in the heart of downtown,’ ” she said in an interview Wednesday. Moon lost her battle against the tunnel, and voters may be moving on from her signature issue. After years of delays and cost overruns, boring-machine Bertha completed its work on the tunnel this month. But the city plans to build a new park and promenade along the waterfront after the viaduct is torn down, which she considers a victory. The Stranger gave her a “political genius” award in 2007, and the Municipal League named her “citizen of the year” in 2009. The 53-year-old — a downtown condo dweller and mother of two — says a housing-affordability crisis has become Seattle’s most pressing challenge. She teamed up with Stranger writer Charles Mudede last year on a series of pieces about it. Moon says individuals and companies from outside Seattle are driving up rents and home prices by buying properties for investment purposes rather than to live in. She doesn’t have data but says the problem has been studied in other cities, such as Vancouver, B.C., and New York City. She says Seattle should research the issue, then attempt to deter outside investors. British Columbia last year enacted a special tax on foreign homebuyers. “We have all these profiteers and speculators gaming our housing market for their own benefit and the city has turned a blind eye to that,” Moon said. The candidate says Seattle should impose a capital-gains tax on wealthy households. As the city weighs arena proposals for Seattle Center and Sodo, she says a priority for her would be protecting Sodo’s industrial lands and associated jobs. But before committing to a Seattle Center proposal, Moon says she would want to know exactly how people would travel to, from and past a renovated KeyArena. Moon isn’t the only tunnel opponent in the mayoral race. Former Mayor Mike McGinn, who announced a comeback campaign Monday, sought to stop the project. Educator Nikkita Oliver announced her bid weeks before Murray was sued by a Kent man alleging abuse. Safe-streets activist Andres Salomon is also in the mix. The mayor has denied the claims against him, vowing to press ahead with his quest for re-election.